From PO creation and communication to the supplier, all the way through to paying the supplier on time, every time. Our B2B payments solution is capable of centralizing and managing 100% of your payments. Now you can cut costs and secure against fraud while getting rid of the tedious task of writing checks. Electronic payments (e-payments) are digital transfers of payments, in real time, directly from your ERP or accounts payable system into the supplier’s designated bank account. These real-time payments take seconds, rather than days, to process. That means less time answering supplier inquiries regarding disbursement dates and exceptions. Our integrated payment service is capable of centralizing and managing 100% of your payments – checks, ACH, wire, or Vcards. Now you can cut costs and defend against fraud while eliminating the tedious and costly task of check writing. 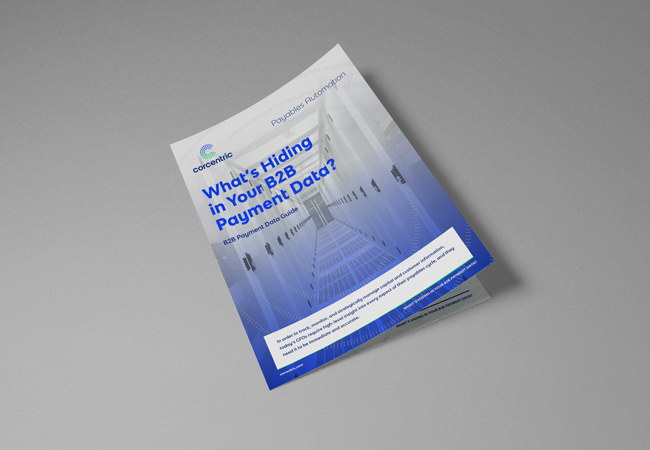 Corcentric’s B2B payments solution connects the payments process, invoice automation, and your ERP into one connected workflow so invoices can move from payment approval to payment disbursement faster, with less manual intervention. From day one of implementation, we nearly eliminate your payment processing costs and the burden payments are putting on your teams. You’ll no longer need to manage various payment methods and disbursements. Instead, we deliver your approved payments to your vendors. With access to a simple, user-friendly status and reporting tool, both you and your suppliers will have 24/7 access to payment details, status, and remittance information. 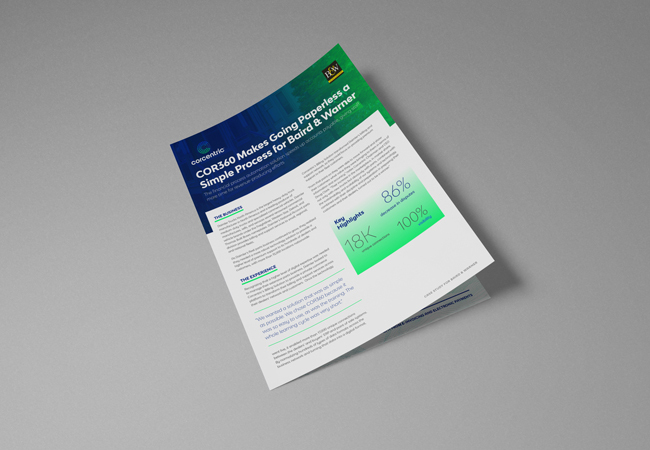 Suppliers love the predictability and visibility; you’ll love the reduced processing costs, elimination of non-core activities, and improved control that enables you to significantly reduce the cost of doing business. And 100% visibility into the payment cycle enables you to generate more accurate analytics reports for forecasting and optimizing payment cycles. Accuracy is vital…and so is fraud prevention. Moving away from paper checks, shifting to e-payments, and consolidating the activity into a single cloud-based platform makes fraud virtually impossible. Although most electronic payments solutions are very similar, success is measured by the amount of disruption a new initiative might cause. Corcentric’s goal is to eliminate that disruption by delivering at the intersection of technology and service. We ease the burden of implementing and maintaining an effective, centralized electronic payments solution. Plus, we go that extra mile – continually working with your suppliers to resolve issues and move them to more secure electronic payment options, like ACH and V-cards (virtual credit cards). These options eliminate the threats that paper checks present. Paper checks can be ripped, lost, or stolen. With electronic payments, you can feel secure that your payment has been received and your supplier can feel secure that payments will be made faster and more accurately. How one customer reduced paper checks by 40%. 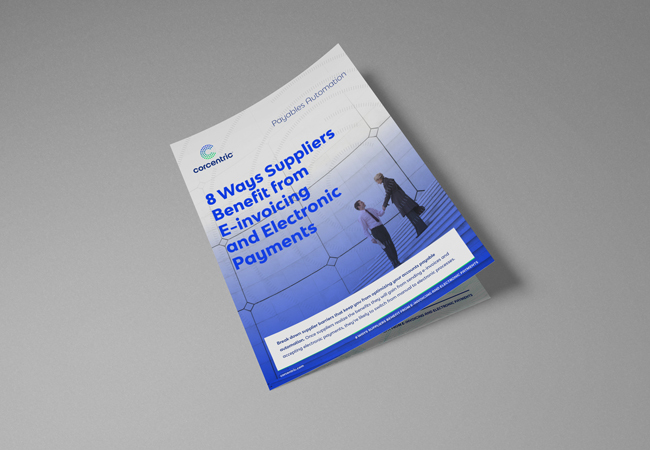 Break down supplier barriers with e-invoicing. 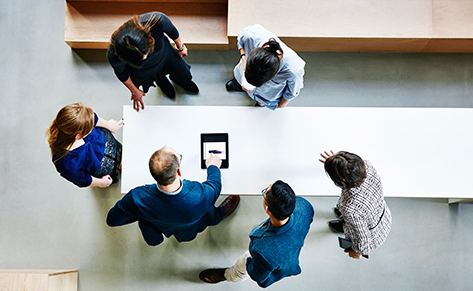 Learn how to leverage your data to meet business goals. Get in touch with us for a better way to automate and optimize your accounts payable process. Request a free expert consultation to learn how to start optimizing the way your business purchases, pays, and get paid. Our solutions consultant will be in touch with you shortly.